First of all, you can’t take much out the fact that Dustin Johnson hit Jack Nicklaus’ old persimmon driver 290 yards carry and 318 total distance, because I’m pretty sure he was hitting modern balls. It’s not just the modern drivers that are allowing players to drive it longer – the driver specifications have been restricted for years now with maximum head size and trampoline limits – the balls have not seen any restrictions and they are flying much further than the old surlyn and balata balls did. Not true. If they are using modern balls, then they will indeed be able to get close to the distances they hit the balls with their own clubs if they get good contact, but if the point is to say that this proves anything, then it’s another exercise in cynicism, because we saw Tiger Woods a few weeks back hitting his 2 iron close to 300 yards off the tee. If you’re going to try to tell me that he would be able to do that with a 70’s era 2 iron blade and a balata ball – which you wouldn’t, because you know that would be absurd – then you need a reality check. I blogged last year as well about reaching a 600 yard par 5 hole in two, the second shot being a 275 yard or so blast with a Jack Nicklaus McGregor persimmon 4-wood – the catch is that I did it with a Pro V1, and I know there’s no way I could have done that with a balata ball from the 90’s. “… Every professional sport, it doesn’t matter, guys continue to get better, that’s just the way it goes. And I don’t see why everyone has such an issue with that,” he said. The very proof of this being an exercise in cynicism is that Kirk, a Tour pro, would know very well that Drivers have been restricted since before the 8 years he conveniently uses as his marker – so the advances from the driver came in the years before things leveled out due to those imposed restrictions. Fast-Forward 20 years to 2016 and a now 50-year-old John Daly averaged 303 yards driving on the Champions Tour – so that’s 15 yards longer average drive from Long John, twenty years older. How about Tom Watson averaging 282 yards off the tee in 2009 as a 60 year old, the year he nearly won the Open Championship, compared to 266 yards back in 1980 when he would have been 31 years old? 16 yards longer than when he was half the age… sure, it isn’t the equipment, John Daly and Tom Watson were just younger, stronger and fitter playing the Champions Tour than they were in their prime playing years on the regular Tour… got it!! 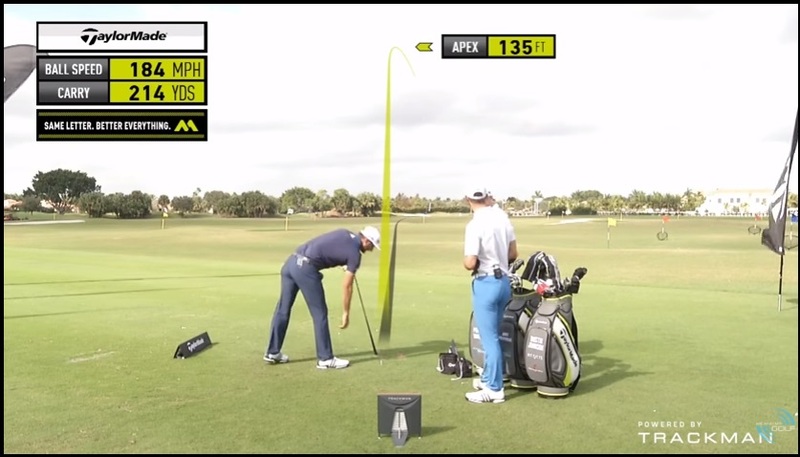 So, if you ask Chris Kirk how a 60 year old Tom Watson is driving the ball 16 yards longer on average than he did at the age of 31 (when he would have been using persimmon and balata), he would probably stop talking. Which would be a good idea – don’t we get subjected to ads every 10 minutes telling us how much longer today’s new golf balls are than yesterday’s? Aren’t we always being told that today’s new driver will add 7 or 8 yards to your drives? Plus, today’s pros have found loopholes in driving with the modern equipment. And it’s not because they’re exceeding their limits – first of all, the trampoline rule only addresses the sweet spot in the face of the driver being tested, and pros have long since learned that impacting the ball above the sweet spot on the face gives you more trampoline than the sweet spot does – and they aren’t testing anywhere but in the sweet spot. As well, the clubs of today are incredibly forgiving – you will drive it nearly as far off the heel or toe today with the modern drivers as you do off the sweet spot, and that’s the advantage – today’s players are swinging harder than the classic era guys, because they know as long as they can make contact, they’ll still get the ball out there a decent distance. With the old equipment, you had to get it on the sweet spot or you couldn’t compete, let alone make millions hitting it sideways (but still 300 yards out) and punching out to the green with a wedge. Not to mention, there are no restrictions placed on metal woods and irons – none whatsoever – which is why pros are hitting 3 metals 330 yards off the tee now, and why 42 year old Tiger Woods can get it out nearly 300 yards with an iron off the tee. They are making a mockery of the so-called “equipment rules,” which only apply to the driver to begin with. 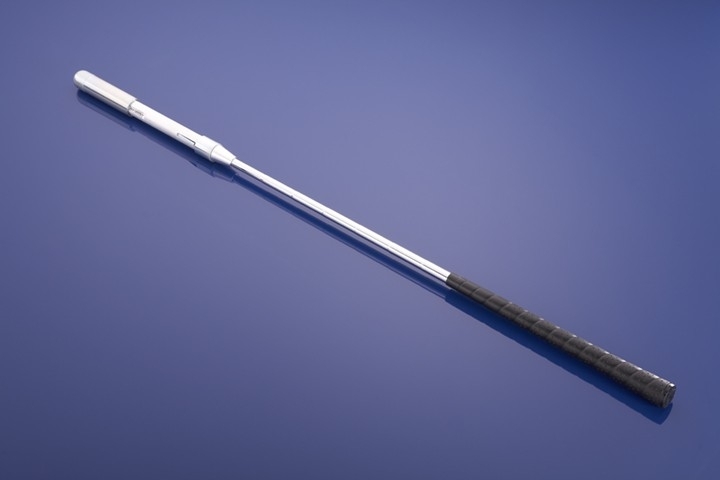 As for Kirk’s claim that performance increases in every other sport – other sports have taken measures to protect the game, like tennis with a slower ball for the pros, and baseball pros still having to use wooden bats when amateurs can use aluminium bats. This is the thing – amateurs should be able to use easier-to-play equipment, but why would the pros need it? The question I have is – why are Tour pros, the best in the world, insisting on using equipment designed to give the weekend hacker an easier time playing the game? If they’re so good, why aren’t they using equipment that will show how good they are, rather than going around the track with training wheels on their bikes and claiming to be so great at handling the corners? Pro equipment should not be easier to play than old standard equipment. If they’re going to use training wheel clubs and balls and make incredibly ingenious and self-serving claims, then they deserve to be called out and mocked. There is a reason the pros are going to fight any equipment rollbacks tooth and nail, of course – many of them know that if they actually had to hit the sweet spot of the club to get the ball into play, they’d have to look for another line of work. Something Jack Nicklaus or the Classic Golf Swing era players never worried about – if they were making a living on the Tour, they were great with that old equipment. This entry was posted in Classic Swing, MCS Golf Swing, Modern Driver, Modern Swing and tagged DJ Watts, MCS Golf Swing, Modern Driver, Modern Golf Swing, WAX Golf on September 1, 2018 by D Watts. I can only think what an amazing shot Mike Austin made with his 515 yd. drive at 64 years old, using the old driver and ball! Hell yeah. I believe that might be the most ridiculous drive of all time. You don’t even see Mike Dobbyn, who set the world love drive record with 556 yards, breaking the 400 yard barrier consistently, and yet that entire tourney that Mike Austin played in was blasting it 400+ consistently that week, with balata and persimmon, vs Dobbyn using modern stuff. Not to mention that Dobbyn was young when he set that record with modern equip, Austin was 64! No one hits 400 yard drives at 64, not even 350 yard drives at that age, it just doesn’t happen. Yet Austin did, and he did it all the time. 515 yards is completely off the freaking wall anyway, not to mention the equipment and his age. I really don’t think people really and truly realize what a genius Mike Austin was. He was beyond any other golf pro by at least 90 years. We’ll never see another like him again. I can’t even fathom what he’d do to a modern driver and ball in his prime today……he’d probably crack the clubface first hit and have to cut down on his power significantly just to be able to keep from breaking drivers. Sadly Mr. McJohn, it doesn’t take much to break today’s equipment. I’ve broken 4 or 5 driver heads during my research and I don’t swing all that fast compared to long drivers. 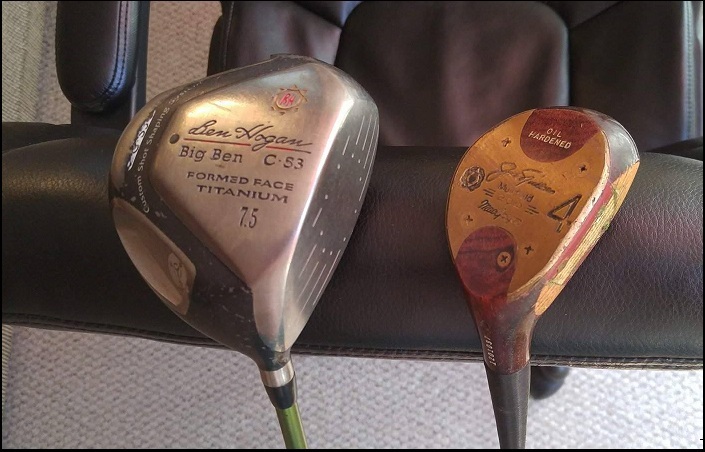 We don’t see how quickly they can break because the pros have the replaced so often – if they kept them the way the older era players used to (basically, ’til they broke), we’d see broken driver heads every week on Tour, I’m sure. Not to minimize the feat, but Austin was actually 59 at the time – for some reason, he claimed his birth date as 5 years earlier than it was, confirmed by his brother a few years ago – and it was on a desert course with a gale-force wind at his back. In regular conditions, it wouldn’t be anywhere close to that distance. That said, it is an eye-opening yardage, whatever the conditions. I think the modern equipment is a compensation for the modern swing. Period. Still, I’m not sure how these pros can’t feel the pain of the twisting, or if they just ignore it. In any sport, if it hurts, you’re doing it wrong. Why keep doing something if it hurts? I k ow in my martial arts, if I sprained my knee because of a poor movement, was 1. Told to rest it until it got better 2. Never make that movement again. The pros on tour do the exact OPPOSITE. I personally believe that Tiger Woods either is just plain stupid, or doesn’t know any other way. He’s still hurting himself, and he hasn’t realized that it’s his swing??? What the hell… It’s insanity, I swear to god. You and I must be a different breed, Mr. McJ – I too did some martial arts in my younger days, but that’s not the similarity to which I refer. I have never, if I ever did something that caused me pain (outside of the soreness from strenuous activity, such as a day-long track meet or the first few practices in a sports following the off-season), continued to do that which caused me pain. I had a stiff and sore knee back in ’08 when I was doing my swing research and was planted-heel – while going to the driving range one morning, I wondered if that was the price to pay for swinging a golf club, as TW had had his knee surgery around that time. That month was the last time I ever swung planted-heel, and by the end of the ’08 golf season, you couldn’t have gotten me to swing planted-heel if you tried. I knew by then that the free-hip and lifting leading heel action was the proper way, and now I just had to figure out how best to swing that way. The players on Tour are robots. They pick, figure out or are taught an action and once they’ve earned a few pennies swinging that way, they refuse to entertain the notion of changing the swing that makes them their money. Too bad they can’t make the connection between swinging in a mechanically-sound manner and making even more money due to increased performance, fewer injures and a longer playing career. As much money and as many titles as TW has earned in his career – had he learned a mechanically-sound swing in his youth, he’d be approaching 25 majors by now and be over 100 in Tour wins, if his personal life didn’t derail that, of course. At this point, I don’t know what to tell you. Tiger Woods is definitely NOT stupid – that’s taking it too far. I think he’s a product of his environment – he’s had golf instructors telling him what to do his entire life. That’s entirely different than trying to figure it all out yourself. Just to ask, DJ. Do range balls perform the same as the old balata balls? It would depend, Jess – I know regular driving ranges for mere mortals have balls that are about 10% shorter in flight than playing balls, but I don’t think they are as “spinny” as the old balatas. As for the pros, I imagine their range balls are the same as their playing balls. Part of why they can dial in so well on their distances on approach shots. You guys might want to read Tom Wishon’s comment on Golf WRX about DJ’s day with the old clubs and why he’s hitting the old clubs so far.